Exhaust Titanium ultralight 2 into 1 system. Rear Suspension Light alloy swingarm with Showa Race damper, adjustable compression, rebound and ride height. 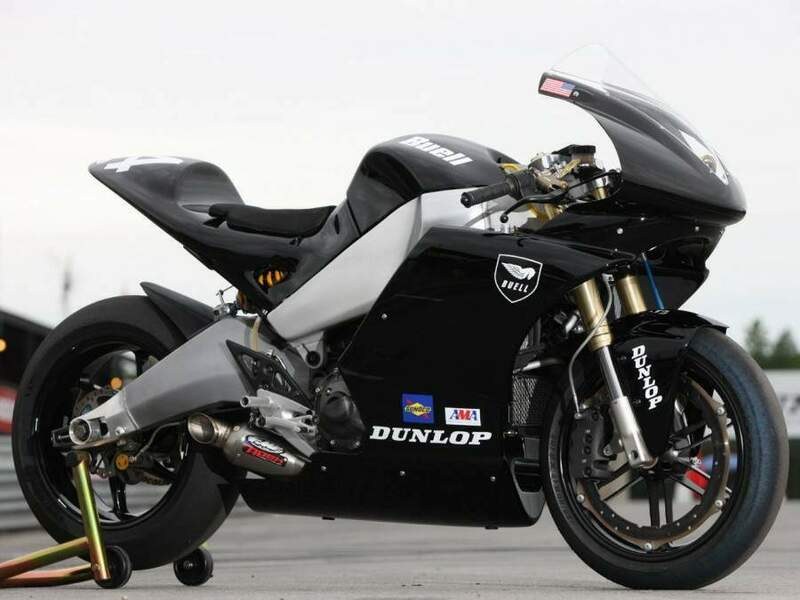 Rear Wheel 6.00 x 17"
Wheelbase Adjustable: 1400 to 1460 mm / 55.1 to 57/4"
The 1190RR is the first new motorcycle from Erik Buell Racing. Based on the 1125R and 1125RR, the 1190RR brings engine displacement close to the AMA American Superbike (ASB) class limit for twins and the WSB limit overall. 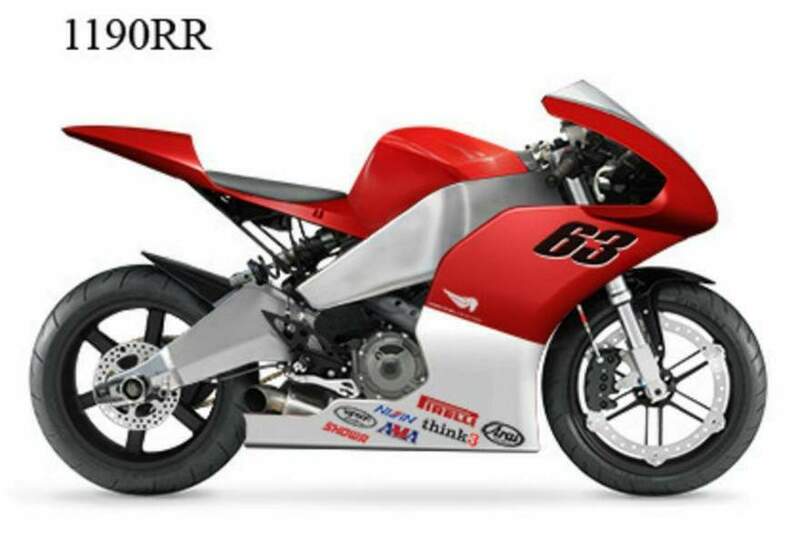 Although it is not currently approved for AMA ASB class racing, this bike can be raced in many classes around the world and should add new excitement racing against other premium street-based twin roadracers. The 1190RR models are constructed at our shop from new 1125Rs with a complete kit of Superbike level components. Engines are completely disassembled and blueprinted, with top-shelf internal parts added to deliver reliable performance at the extreme rev ranges required for a twin-cylinder bike to compete at these power levels. The chassis is completely updated with the finest components, as well as all the details for adjustability and comfort requested by the top test riders who have been involved over its development. Test riding of the 1125RR by Alex Barros, Jeremy McWilliams, Chris Ulrich, Taylor Knapp, Cory West, and more - plus the 1190 motor and a winter of further engine and CFD development - means we can finally deliver an exotic American racing motorcycle that will deliver world-class track performance and excitement for sponsors and fans.